The Ravenous Mommy: Guess Who's Back?! I’ve missed everyone over here in blog land. It has been a while since I last blogged, and it has been a busy few months... but I know that is no excuse! But I wanted to share with you guys some of the things our little family has been up to over the past few months. First, I wanted to start with my sad news. 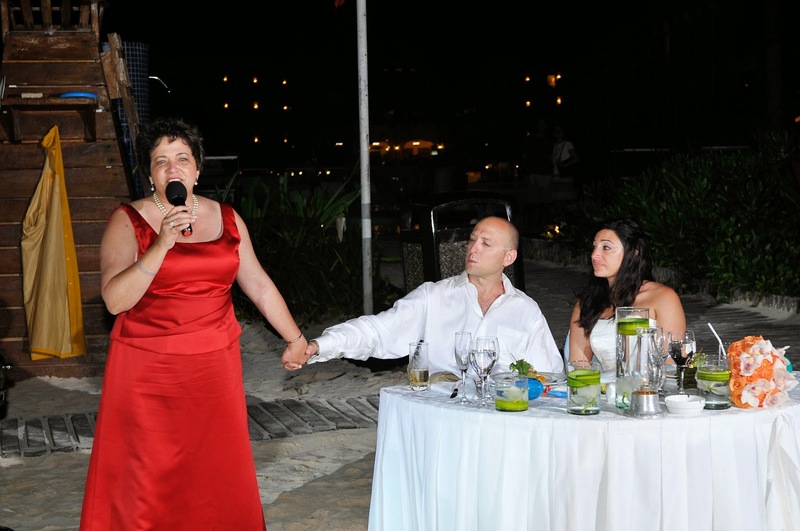 My amazing aunt lost her battle with brain cancer in July. She was my second mother, always there to cheer me on and to get on my case if she needed to. She was the life of the party, an amazing friend, and a die-hard republican (she would have been very happy today)… just to name a few. I miss her every day. 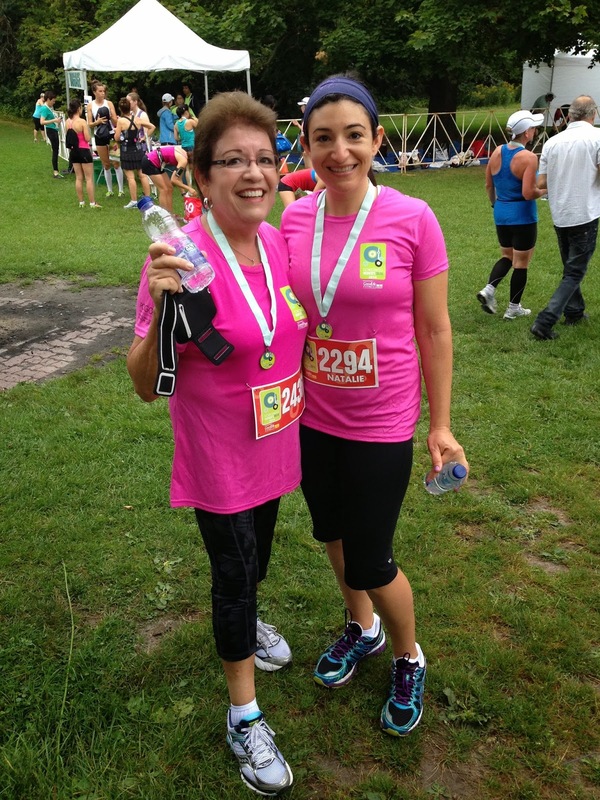 A month after her passing, my mom came to visit me in Canada and we completed my mom’s first 5k, in honor of my aunt. The race was benefiting pediatric cancer patients, a cause my aunt contributed to every year. 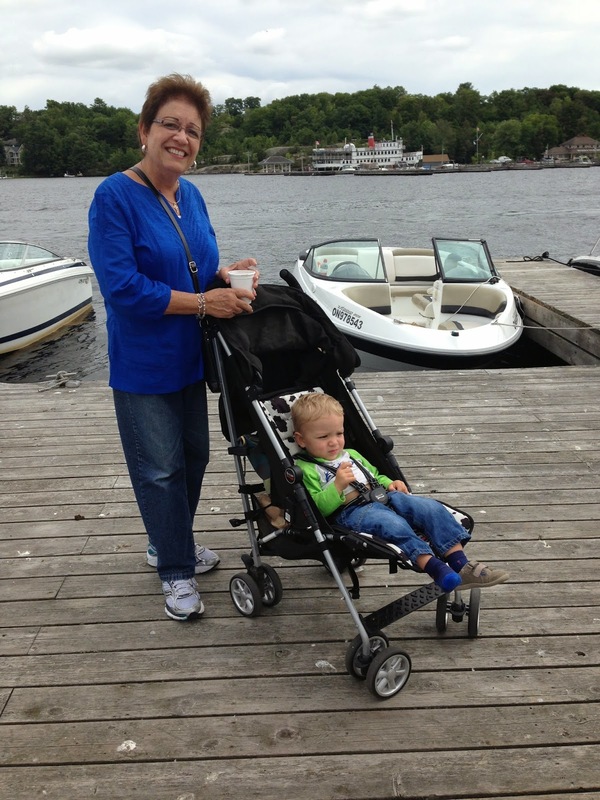 My mom and I also ventured out to Gravenhurst, a small town in the heart of Ontario’s cottage country. It was a little cool for a mid-summer’s day, but I guess that’s Canada, eh? 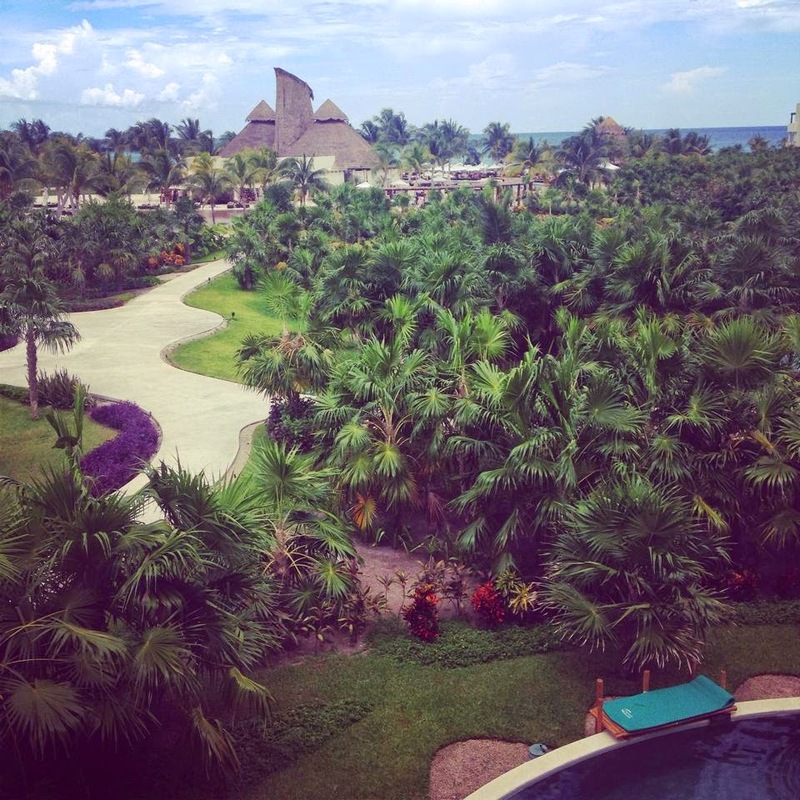 At the end of August, Jay and I took a much deserved (and first post-Wyatt) vacation to Mexico! We spoiled ourselves at Secrets Maroma Beach. We basically ate, drank, and swam our way through 6 glorious days. It was loads of much needed relaxation. We spent LOTS of time outside! Wyatt loved running around the backyard and making me chase him with the car. In September, Wyatt finally got to meet his cousin! 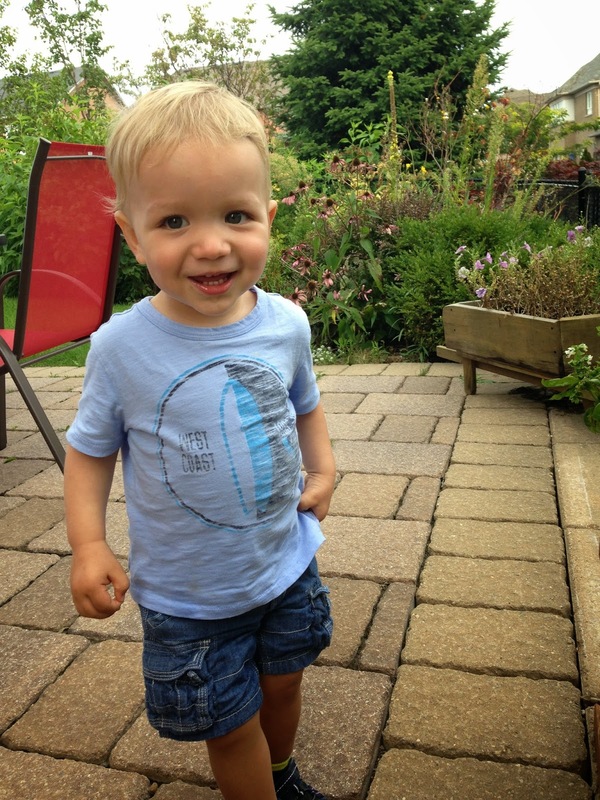 He lives across the pond, so it’s not very easy for these two rambunctious toddlers to get together. They had lots of fun roaming around Toronto and stealing each other’s food. Hopefully we will be off to visit them next year! Now that almost all the leaves have disappeared from the trees, it really makes me miss summer! It went by SOOO quickly. Now that I’ve experienced every single season (Florida and Cali never seemed to have more than 2 seasons), I have determined that Spring is my favorite. It is truly beautiful seeing everything come back to life. Fall is beautiful too, but it’s depressing how quickly fall dissipates. 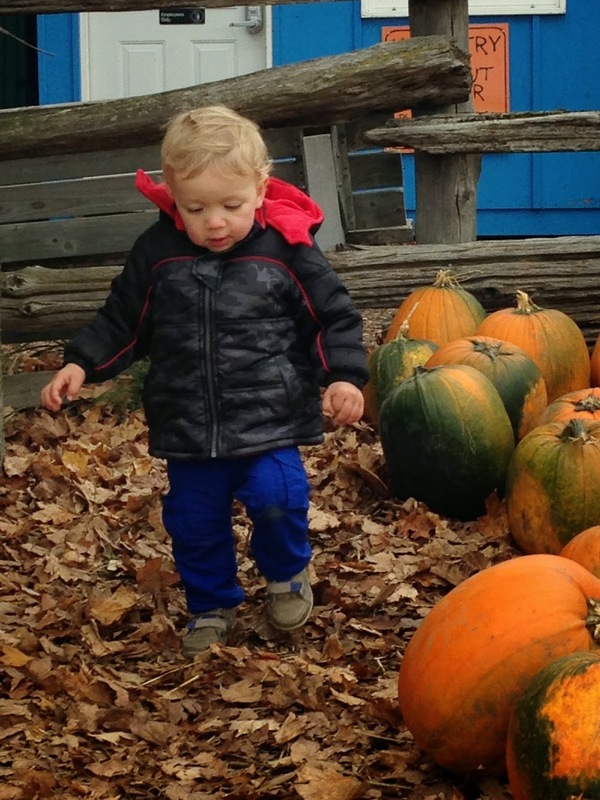 We spent one of our fall weekends at the Brooks Farm pumpkin patch. 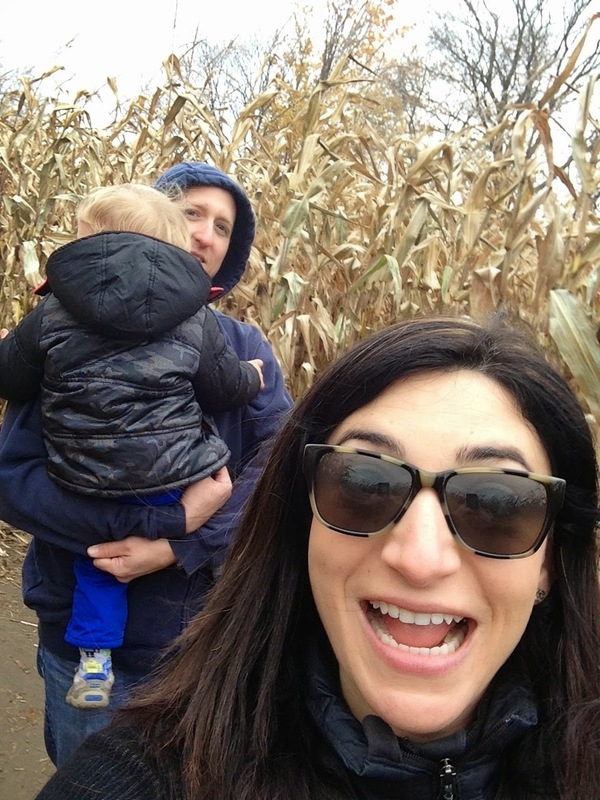 We spent some time getting lost in the corn maze, then let Wyatt see all the animals and of course the pumpkins. He loves being outside, no matter how cold it is. We can’t forget Halloween! 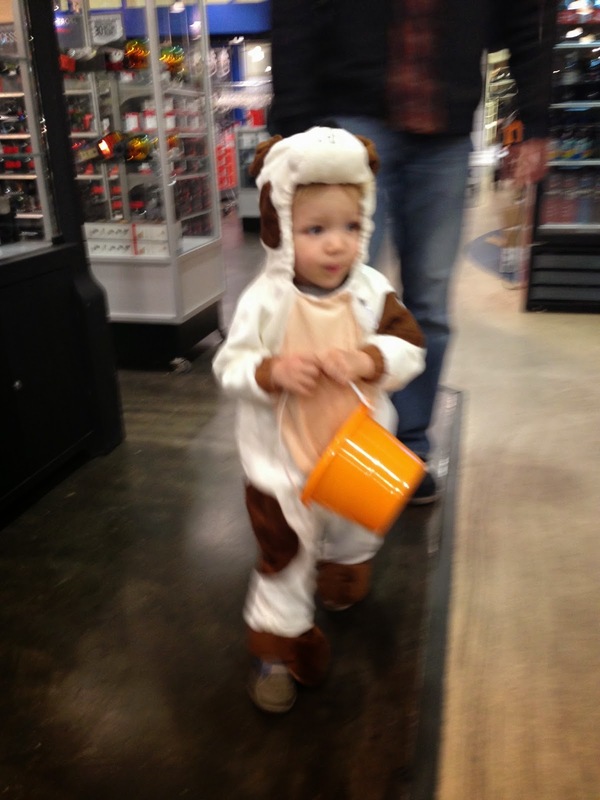 He was dressed up as his favorite animal, a doggy. The weather here was cold and rainy so we made a late afternoon trek to the mall. Wyatt did a pretty good job trick or treating! He didn’t rip his costume off or run away from the people giving away candy, woohoo! I will be back with more posts! I have recipes, restaurants and other goodies awaiting. 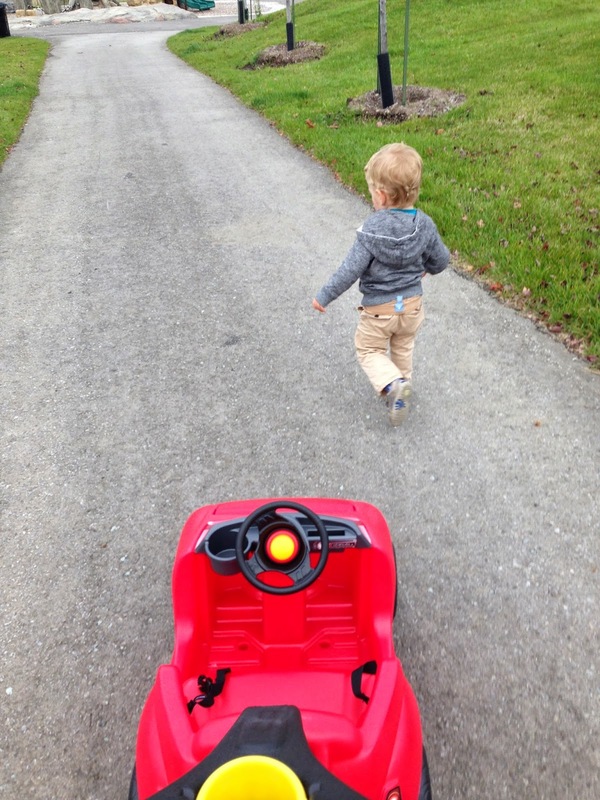 Thank you all for being so patient with me while I try to figure this whole blogging mommy-hood thing out. What have you guys been up to lately?! Good to hear from you! Sounds like you guys have been busy with lots of fun stuff. Hooray I'm glad your back!